BIG SHOTS: Family Literacy Program PS 34: Genie Martinez discusses how the Brooke Jackman Foundation has helped her children Alexis, Angelyn and Aviana Bartolomey. How did you first get involved with the Brooke Jackman Foundation? I have three children. Alexis is eleven, Angelyn is eight and Aviana is six. Alexis, my oldest, has now moved on to middle school, but when she was in elementary school at PS 34 we first became involved with the Brooke Jackman Foundation and the Family Literacy Program. Since then, every single year, we keep coming back. What other ways have you been involved since then? We usually go to the award ceremony that’s held at the end of the year. We also participate in a focus group for a “book bus” where we discuss ideas and strategies for how we can bring the book bus to the community. We have met with several artists, cartoonists, illustrators and writers. How has your involvement with the foundation affected you over time? Well, I think my kids are a little more proud to say, “That’s my mom.” Before we joined the BJF Family Literacy Program, I would ask my kids, “What did you learn in school today?” They would just shrug their shoulders and say, “I don’t know.” Attending the BJF Family Literacy Program in the evenings after work with my children, I’m aware of what they are learning because I’m right there, learning it with them. Now instead of asking, “What did you learn in school today?” I ask “How did you like that activity we did together today in family literacy?” And they enjoy discussing it with me because it is a positive experience that we share. As a parent, I appreciate it, because I feel like someone is finally trying to hear what I have to say. From the beginning, the Brooke Jackman Foundation made it clear: this is about us. They asked us: what are good times for the Family Literacy Program to be held? What’s a good location for it to be available? The kids feel good because they feel like they are doing something big, which they are. It is a big self-esteem booster because a lot of times, in schools, kids feel like they are just a number with no say. With the Family Literacy Program, there is a real focus on these kids and what they think. 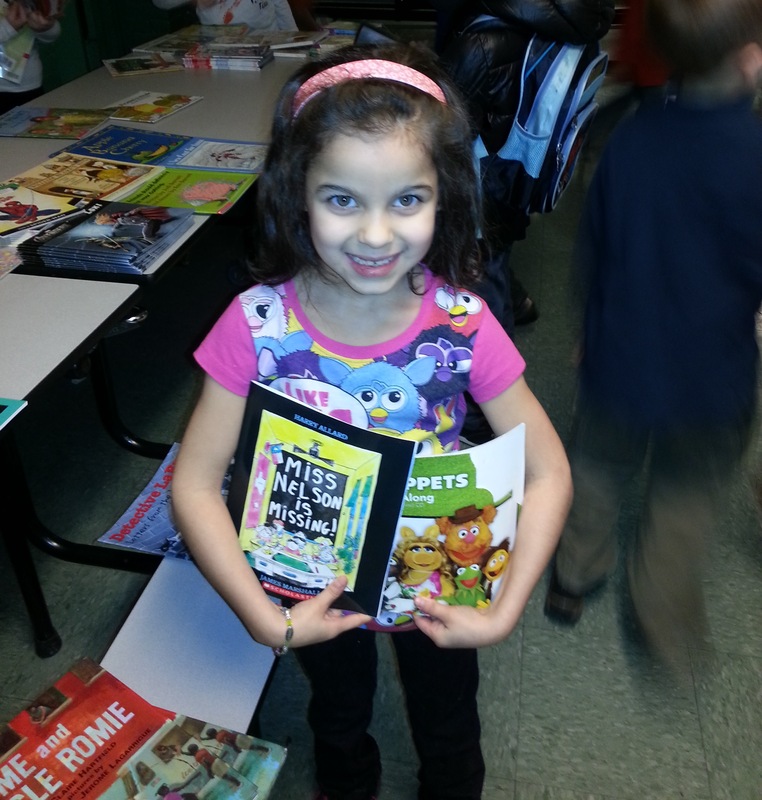 What do your children enjoy most about reading since joining the Family Literacy Program? They like to be able to read out loud. They like to be like the teacher reading to the group. It’s all about a sense of pride. When is their favorite time to read or be read to? Can you describe it? When we first joined the literacy program, my oldest daughter, Alexis, couldn’t read. I couldn’t understand why she wasn’t reading. I was trying so hard, getting her tutors, and it really wasn’t working because I couldn’t get her to sit down and focus until I figured out a way to start sparking her interest. Then she was able to give me a little more of her time and her focus. At the Family Literacy Program, she started raising her hand to read aloud to show that she knew how to read. It’s hard to describe how it made her feel, but I know that it made her feel good about herself and it built her self-esteem up a lot, because her self esteem was pretty low because she felt like she was the only kid who didn’t know how to read. Now she is doing very well. How do you feel being involved with the Brooke Jackman Foundation has affected your community? We were recruiting families, we got about five or six families to come. Pretty much what I tell them is, I say, “Hey, there’s this thing at the school called the Family Literacy Program. It’s this program that’s after the regular afterschool program, so when you get out of work, you get to do things with the kids with the books and one of the best things about it is that if you don’t feel like cooking that night you don’t have to cook. They supply you with dinner so that you can just sit down, eat, read together and relax.” I tell them it is something that both the parents and the kids will remember as being a good time they had.